In the war on drugs, the real targets have not been drugs themselves but on those who live a life in which drugs are ever present. Drugs prove to be a persistent issue in low income neighborhoods, specifically those who have an ethnically diverse makeup. The fact that those affected most by the war on drugs are thought of as “minorities” is no coincidence, it would seem rehab is a privilege reserved only for white affluent people, the rest are sent to prison to serve time for something that is seen as a treatable issue in the medical world. It is hardly a crime to develop diabetes or depression, so why do we treat a mental illness as a crime? It is imperative that we as a country explore how the war on drugs affects low income people of color (POC), its relationship on how mental illness affects low income people of color and why the war on drugs is simply not working. We need to replace the current war with a more sustainable system that supports our citizens, rather than punishes. 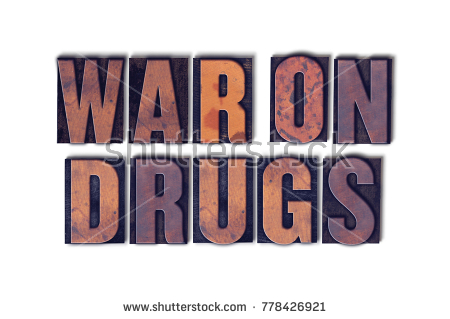 The war on Drugs has proven to be unhelpful because it is a continuing cycle which targets drug addicts. In the article “Drug Addicts As a Victim: A Link to Explore” by Laura M. Nunes and Ana Sani, they write “It is not uncommon in the illegal drug market to find that the individual selling the product, being in possession of large sums of money, is also intoxicated.” (3) This shows that the drug dealer and the drug addict are one in the same. Those who are not drug dealers are still in possession and can end up in prison system. Once in the prison system, they may incur trauma from violence, sexual violence or from isolation that only makes any sort of mental illness they had prior more intense. Upon being released, they now face new barriers from acquiring legal employment to being unable to qualify for public assistance and housing thanks to background checks. Now as they are back to illegal activities such as drug dealing in order to make money, these activities make a neighborhood less safe, “Also, by dint of their lifestyle the drug addict will tend to have much less protection, especially in the form of formal protection from the social control system, for fear that their deviant activity is discovered by the authorities.” (Nunes et al, 4) It is safer for these individuals to deal with violence themselves than reach out to authorities in fear of being arrested. Outside of the US, some of the most dangerous people in the world are the ones who are supplying the drugs to the streets of America. In the article “Winding Down the War on Drugs: Reevaluating Global Drug Policy” by Maria McFarland Sanchez-Moreno, they say “Governments around the world have poured billions of dollars into combating drugs…to pursue, conduct surveillance on, kill, prosecute, extradite, and imprison kingpins and low-level dealers, in source and destination countries alike.” (1) This shows how The US is not alone in these failing tactics against drugs, yet the problem persists not only on our streets, but globally. All of this is evidence that the war on drugs in conjunction with the prison system is a cycle that perpetuates violence and drug use. The war on drugs has caused a lot of destruction in its wake for families, communities, children and adults. Those affected by the war on drugs are mostly low income POC and this brings us to the question of why. In the article “And Examination of the Self-Medication Hypothesis via Treatment Completion” by Erin Crawford, Matthew T. Huss and Lacey Lagoni. It’s brought up that “…use of illicit drugs, other than Marijuana, increase with unmet need for health care.” (2) This is important because low income POC often have trouble affording the cost of visiting a family doctor regularly, let alone a mental health care provider such as a therapist or psychiatrist. On top of the financial barrier, many in these communities face a stigma in which mental health diagnosis and care are thought to be solely a problem for middle/upper class white people. These issues are brought up in the article “Disparities and the Social Determinants of Mental Health and Addictions: Opportunities for a Multifaceted Social Work Response” by Elizabeth A Bowen et. al, they write “…many members of stigmatized and disenfranchised minority groups tend to have worse health than their more advantaged counterparts” (1) this is important to keep in mind because it disproportionately affects POC living in poverty. This is damaging to these communities, because as stated in the article “Poverty and Mental Health: How Do Low Income Adults and Children Fare in Psychotherapy?” By Stacey Kaltman, Jeanne Miranda and Catherine DeCarlo Santiago, “The rates of poverty are higher among ethnic minority adults and families, with 27.4% of African Americans, 26.6% of Hispanic/Latinos, 27.0% of American Indian/Alaskan Natives, and 12.1% of Asians living in poverty compares with 9.9% of non-Hispanic whites…These numbers are troubling because poverty is associated with poor health and wellbeing for children and adults alike.” When looking at these numbers, it’s important to keep in mind that mental illness directly correlates to income, which in turn correlates to ethnic background. People living in low income and especially inner-city communities are more likely to experience trauma and stress due to money struggles, work struggles, frequent moving, violence ranging from domestic to violence out in the community and discrimination. As a result of this trauma, issues such as aggression, difficulty with school, drug use and trouble concentrating can arise; these issues can impede upward mobility. When this type of violence in a community is normalized, there is no one to talk to and one of the main treatments for PTSD is simply working through the trauma by way of talking, writing, creating or various other therapies. Some symptoms of PTSD can be depression and anxiety, both of which as easily treatable with various medications readily available on the market. The big issue with getting treatment is that is trial in error, both in regards to medication and the mental health providers who write prescriptions. Just because a doctor or psychiatrist has gone to medical school and earned a doctorate does not automatically mean they are a good doctor or the right doctor for any given individual. When getting diagnosed and receiving treatment for mental illness, it requires a relationship built on trust and mutual respect between a patient and a provider. For PTSD, the main treatment is simply seeing a therapist weekly. When a patient is able to see a therapist weekly, they build a relationship and a foundation of trust which helps with diagnosing what is wrong with a person and helps them to open up and explore what traumatic events may have been overlooked and dismissed because it has become normalized in a community. Unfortunately this kind of treatment requires a team of professionals from a therapist, to a psychiatrist, to a regular family doctor, all of whom ideally are seen on a regular basis. For many living in poverty, this is just not feasible as the majority of their health care comes from clinics where it is almost impossible to build a relationship and have a routine checkup with the same physician every time. This is exactly where these issues go overlooked and dismissed as just a part of life because these physicians have heavy loads of patients who all experience similar levels of trauma. It’s difficult for the physician to spend too much time assisting a patient with navigating the confusing system that is mental health care, let alone for them to talk to a patient often enough to diagnose them with a mental illness that would call for a referral. These problems left untreated help to fuel the war on drugs in that these people end up getting incarcerated due to the trauma they are living with in their daily lives. Once they are released from prison, it is difficult or impossible for these people to find jobs or even places that will rent to them. They have the choice of going hungry and being unable to support their family, or dealing drugs. Drug dealers are not the problem, they are simply the symptom of a problematic symbiotic relationship between the war on drugs and the prison industrial complex. The prison industrial complex serves as a catalyst for an increasing mental health crisis in America as they have become a replacement for psychiatric hospitals. There are many realities within a prison that can create mental illness such as violence, sexual assault, and solitary confinement. Once someone starts dealing drugs, it’s inevitable that there will be police intervention eventually, and the cycles continues. Those who are paying customers are consuming because they are missing hope and love in their life. When living in a community where a large portion of the population is in and out of jail and another large portion of the population is dying of drug overdose and yet another large portion of the population is dying of violence running rampant due to the war on drugs, one can only wonder how anyone would not end up with a mental illness as a result of trauma. When considering addiction, we must keep in mind these copious amounts of trauma that affect those living in poverty. Addicts are not criminals, they are victims and should be treated as such. We need to offer them support and safe spaces where they can heal and begin their recovery. They need to stop experiencing violence in their homes and streets which is directly tied to the war on drugs. There are feasible solutions to these difficult issues in America if we only approach it differently. By considering drug addiction yet another illness that is present in low income communities, we need to focus on improving the mental health of our citizens. This would begin by shifting the money spent on the war on drugs over to funding for mental health care centers, specifically in low income and urban communities. This would include the tax money spent on drug task forces, militarized policing, and incarceration of those in possession of drugs. In these mental health centers, it is important that the staff reflects the ethnic makeup of the communities they reside in as best as possible, so as not to alienate patients. Some of the services these centers would provide might range from individual therapy, psychiatric care, support groups, after school programs, and addiction rehabilitation. They would be less like a hospital and more like a place for the community to come support one another and be supported by mental health professionals. This alone will not get rid of the violence that comes with drugs, that is more related to the war on drugs itself. First, with the mental health centers in effect, we will need to shift these urban battlefields back into communities. All drugs will be decriminalized and there will be facilities where people can use and exchange needles safely and takes drugs while under the supervision of health professionals. At these facilities, there will be social workers who are specifically trained in handling drug addiction. These social workers can help any patients who want to get help by referring them to rehab and other services at the mental health center. These social workers will serve as a bridge between the two and will be familiar with the staff at the mental health center and assist with scheduling and meeting doctors, as these simple tasks can be the difference between someone with mental illness getting help or being too overwhelmed to pursue help on their own. Once someone who was once addicted has completed the rehab program, there will be either government funded jobs or a stipend program to help get recovering addicts back to work and rebuilding their life. To be responsible about legalizing all drugs and creating these mental health centers, there will be a part of the funding for these centers that goes to a media campaign promoting the centers and public service announcements that explore the effects of drugs such as meth and cocaine. Drugs classified as psychedelic drugs will be legalized for medical use and study. These will be available through a psychiatrist for a therapy session in which you are accompanied by a psychiatric professional in order to explore repressed memories and have an in depth therapy session. Micro-dosed LSD can likely be prescribed by a psychiatrist for depression. Both of these methods would be studied in depth before being available to the public, and legalization would be a way to open this door. Cannabis will be legalized for medicinal use ranging from seizure medication to depression. The taxes collected from all legalized drugs would go right back into paying for the studies and the anti-drug campaign. By offering mental health and income solutions to the community, the need for drugs will begin to diminish and those who are still addicted will not be criminalized, resulting in a safer, healthier community for all. If the war on drugs is not working as it is, who benefits from not trying out a new system? It only causes further damage to low income communities if we continue as we have been. As of right now, the U.S. is taking a regressive approach to drug use which has proved unfruitful time and again. If we can only help our citizens, we can improve the wellbeing of our country. If a government is not there to support its citizens, it has failed. Nunes, Laura M and Sani, Ana “The Drug Addict As a Victim: A Link to Explore” Journal of Drug Addiction, Education and Eradication Volume 11, Number 3-4 Nova Science Publishers, Inc. I will pass on the compliment to Corinita, she will be delighted to hear about it. Thank you. Such an important perspective!!!! !